Use the Tabs on the left to link to district-wide resources and information. Classical High School is a non-profit organization serving alumni, students and supporters of Lynn Classical High School to strengthen our community, build lasting relationships and continue the tradition of "Ram Pride"
Visit the Classical High School Alumni Website! As we go through our daily lives, lets keep one important thought in our minds and hearts. That is to keep in contact with our friends who we shared so much with at Lynn English. We may not see each other that often. However, by way of our new website we all have the ability to communicate to Alumni Staff, Officers and to list any Comments, Feedback and/or Messages that are of importance to us. Visit the Lynn English Alumni Website! The Lynn Trade and Lynn Vocational Technical Institute has a new Alumni Archives website. This site is at its beginning stages and with your help can continue to grow. We are looking for content to add to our archives: articles, photos, past events and history of the school. If you have material you would like to share, please email it to lvtiaa2@gmail.com. We welcome material on alumni, students and faculty. Call in advance to reserve your spot! Venga a reunirse con un abogado/a de inmigración para obtener consejo legal sobre su caso o el de un ser querido. El consejo legal es gratis. Las citas son confidenciales. ¡Llama con anticipación para reservar tu lugar! Located in Lynn, MA, the Russian Community Association of Massachusetts is part of a collaborative project called the New American Center. The New American Center was established in 2002 and is a multi-ethnic, multi-service site providing culturally appropriate and linguistically accessible social service assistance to refugees and immigrants in the Lynn area. The New American Center (NAC) was created by the Mutual Assistance Association Coalition (MAA Coalition) - a Massachusetts collaboration of grassroots ethnic community organization - in order to meet the needs of large numbers of increasingly diverse newcomers to Lynn. The Russian Community Association of Massachusetts is the lead organization at the New American Center. 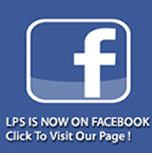 The Lynn Public Schools has launched its official Facebook page, located at www.facebook.com/LynnPublicSchools. The purpose of our Facebook page is to share information about our district and schools with the community. Our students, teachers, administrators, staff, families and partners are achieving excellence and innovation in their work together every day, and we are excited to offer this new vehicle for engaging the community in our students' success. The Federal No Child Left Behind Act of 2001 requires school districts that receive federal Title I funding to notify parents of their right to know the professional qualifications of the classroom teachers who instruct their child. As a recipient of these funds, the Lynn Public Schools will provide you with this information in a timely manner if you request it. Specifically, you have the right to request the following information about each of your child's classroom teachers. • Whether the teacher meets the state qualifications and licensing criteria for the grades and subjects he/she teaches. • Whether the teacher is teaching under emergency or provisional status because of special circumstances. • The teacher's college major, whether the teacher has any advanced degrees, and the field of discipline of the certification or degree. • Whether paraprofessionals provide services to your child and, if so, their qualifications. The Lynn Public School System is committed to providing quality instruction for all students and does so by employing the most qualified individuals to teach and support each student in the classroom. If you would like information about the qualifications of your child's teachers, you may contact the principal of your child's school. Vehicles parked on streets and sidewalks are subject to ticketing and towing. An announcement will be made when the parking ban is lifted. If your car is towed it will be $170 tow fee plus a $150 ticket. There is a $35 storage fee per day that your car is held at the tow lot. It is strongly advised that you find off-street parking during a snow emergency. The tow lot is located at 40 Federal Street behind the Fire Department Headquarters at 725 Western Avenue. Fecteau- Leary Junior/Senior High 33 North Common St. Residents have two hours to remove cars from lots. Residents will have until 6 AM the next day to remove cars from lots. - Vehicles still in designated snow lots after that time will be subject to ticketing and towing. Parking is also available at the MBTA Garage at the intersection of Broad and Market Streets for a fee. Designated snow parking lots will be opened for residents to be able to move their vehicles to off-street parking. Vehicles must be removed promptly from these lots at the end of a snow emergency parking ban or will be towed. Vehicles parked on public streets and sidewalks during a parking ban are subject to a $150 parking ticket and $170 tow fee. Additionally, there is a $35 a day storage fee if your vehicle is towed. Snow Emergency Parking Regulations will be strictly enforced. All violators will be subject to fines up to $200 and /or towing. - Smart 911: Lynn's Notification System - Click Here And Sign Up! The City of Lynn Ordinances require all property owners to Remove Snow and Ice Fom Their Sidewalks to ensure pedestrian safety. SNOW MUST BE REMOVED BETWEEN SUNRISE AND SUNSET, WITHIN 10 HOURS AFTER SNOW HAS FALLEN AND MAINTAINED THROUGHOUT THE DAY. SNOW MUST BE REMOVED BETWEEN SUNRISE AND SUNSET, WITHIN 3 HOURS AFTER SNOW HAS FALLEN AND MAINTAINED THROUGHOUT THE DAY. A CLEAR, FULL, PAVED PATH THE WIDTH OF THE SIDWALK MUST BE PROVIDED FOR PEDESTRIANS WITH A MINIMUM WIDTH OF 42 INCHES. A CLEAR, FULL, PAVED PATH THE WIDTH OF THE SIDEWALK MUST BE PROVIDED FOR PEDESTRIANS WITH A MINIMUM WIDTH OF 42 INCHES. - If the snow ceases falling in the daytime (7AM - 6PM) it is your responsibility to see that the snow accumulated on the sidewalk shall be removed within four hours. - If the snow ceases falling in the nighttime (after 6PM) it is your responsibility to see that the snow accumulated on the sidewalk shall be removed before 10 PM the following day. - Property Owners are responsible for making openings in snow banks between the streets and sidewalks at crosswalks, street corners and bus stops. - If your mailbox is erected at or near a gutter line, make sure it can withstand snow clearing efforts. Also, the US Postal Service will not deliver mail if your walkway is not cleared. - If your home or business is on a corner, please shovel a wide opening and help pedestrians get onto the sidewalk safely! Ask yourself if the path you cleared is wide enough for someone using a stroller or wheelchair to get through. - Please make sure that ice is also cleared or melted from the sidewalk. - If you fail to comply with the city’s sidewalk clearance ordinances or if you throw or dump snow from your sidewalk into the street, you will be issued a fine for such violation. After an additional 24 hours, if you have not complied with the ordinance, you will be issued an additional fine. Sign Up For the City of Lynn's "Smart 911" Notification System!